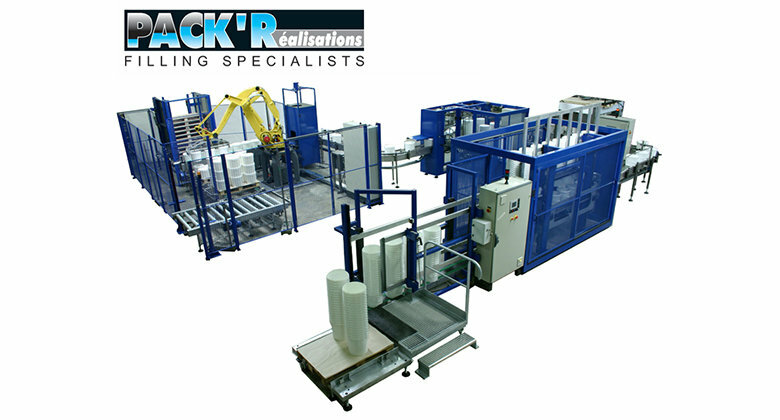 De-palletiser for the automatic infeed of empty containers delivered on a pallet with automatic pallet magazine to stack empty pallets and cardboard sheet removal if required. 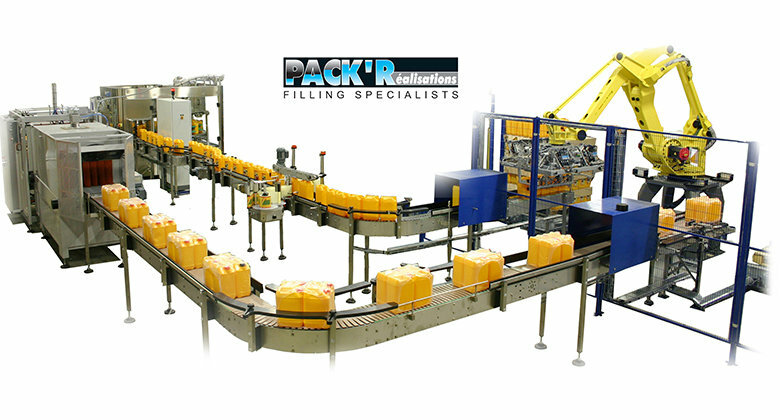 Palletising solutions to complete the line include a 3 or 4 cartesian axis robot PR-PAL for cardboard cases, jerry cans, buckets etc up to 1200cpm, offered with pallet magazine with automatic de-stacker, cardboard sheet placement, integration of automatic stretch wrapper. Infeed table is an alternative option to free up operator time and ensure good control of incoming containers and fast format changeovers.